Welcome To Extreme Excite: Extreme Excite offers Mascot Costume Rentals. 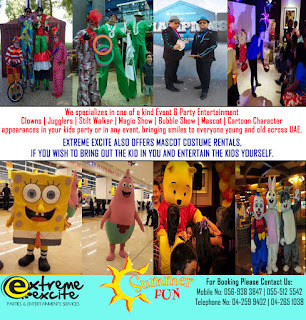 Extreme Excite specializes in one of a kind Event & Party Entertainment. 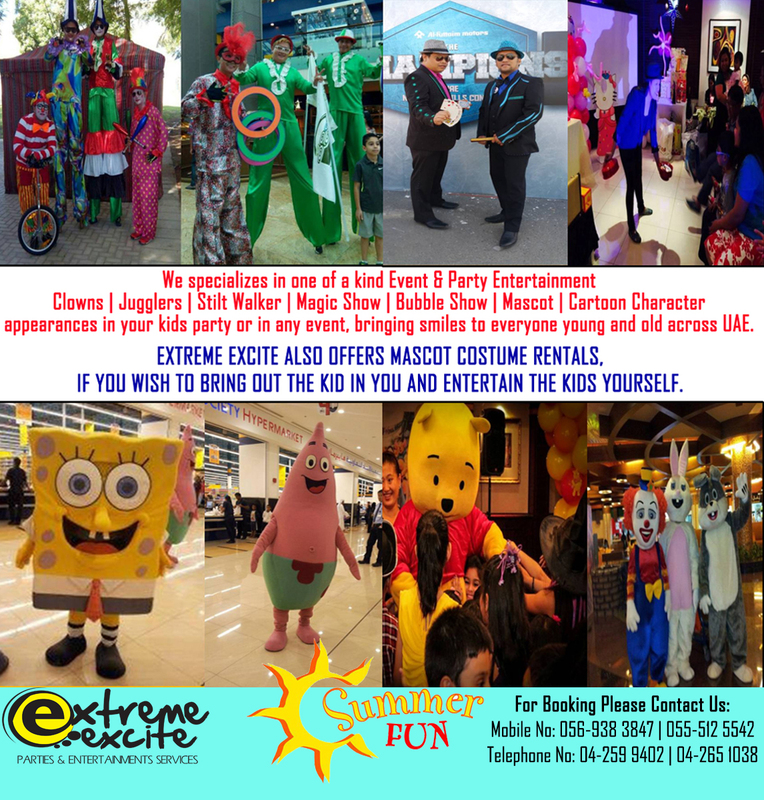 Clowns | Jugglers | Stilt Walker | Magic Show | Bubble Show | Mascot | Cartoon Character appearances in your kids party or in any event, bringing smiles to everyone across UAE.